We are committed to improving the quality of life for our neighbors by engaging with neighborhood residents and local community partners.  Habitat's role in neighborhood revitalization is a supporting one; we seek out existing organizations and coalitions in our community that are already working on quality-of-life issues. We offer our expertise in the housing sector as one component of a comprehensive community development strategy. We often serve as a sounding board for community residents. We listen. We work with neighborhood associations and community-based agencies to determine how Habitat can improve the quality of life for our neighbors. When we focus on housing alongside other broader community needs, we are building more than homes. We are also helping to make sure that our neighborhoods that offer residents a great place to live, work and play. For more information on our community engagement initiatives, contact Christine at christine@habitatcd.org.